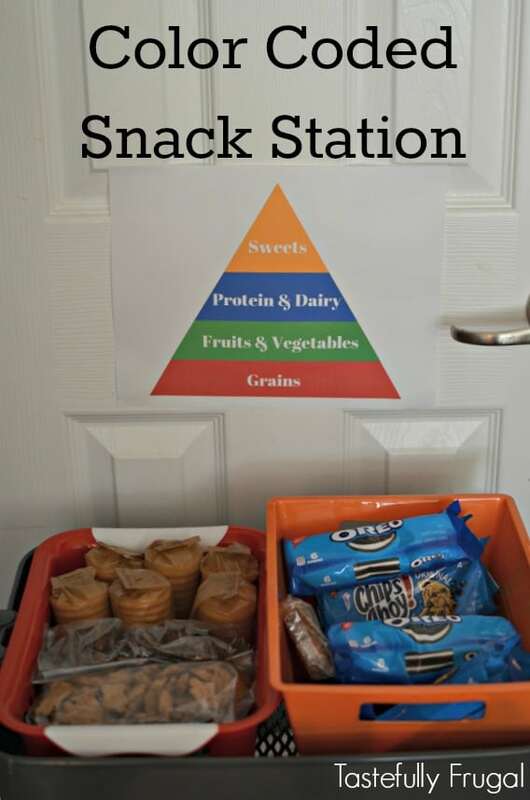 Create an easy to manage snack station that helps kid eat better too. We are in full blown back to school mode here. For our family that means waking up earlier, no more sleeping in til 9 for us, having breakfast, riding scooters and then starting our daily lessons at home. Because we are homeschooling (and because this mama is about to pop out a baby any day now) I really wanted to make sure our pantry and fridge were stocked with not only good for you food and snacks but also ones that my boys could get by themselves. 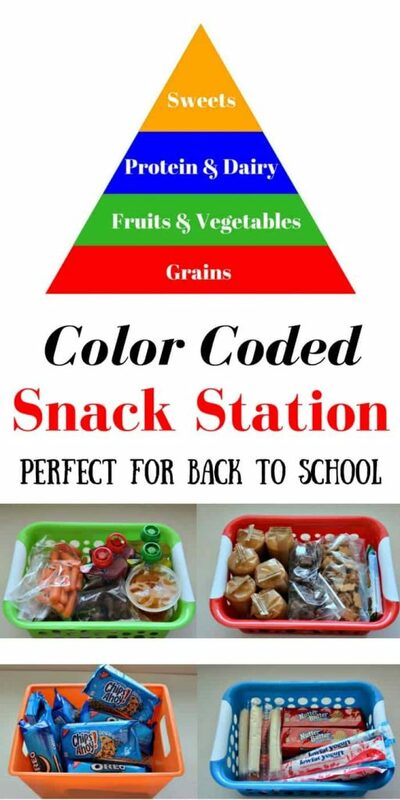 That’s how I came up with this color coded snack station. 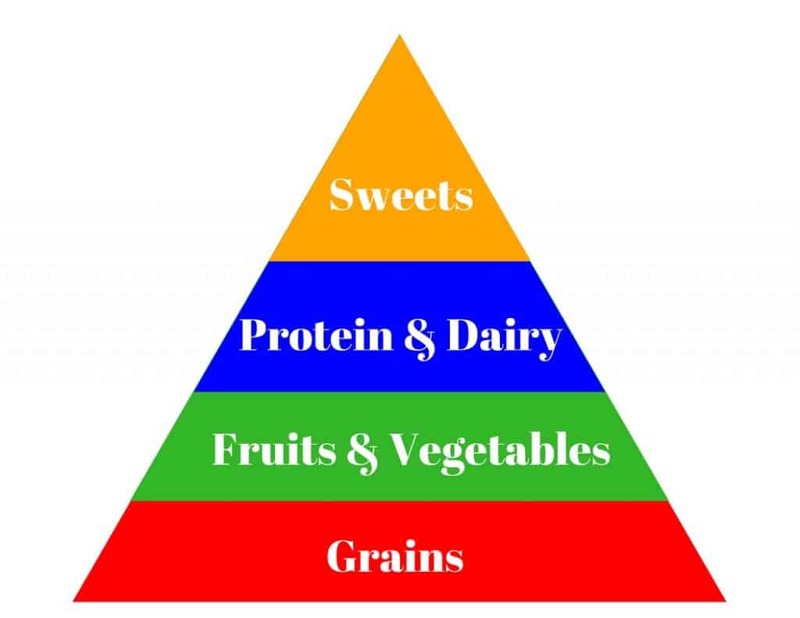 We’ve been talking about the food pyramid and the importance of eating a balanced diet (a.k.a. not eating pizza for every meal). Since they are still young I decided to break it down into colors for them. 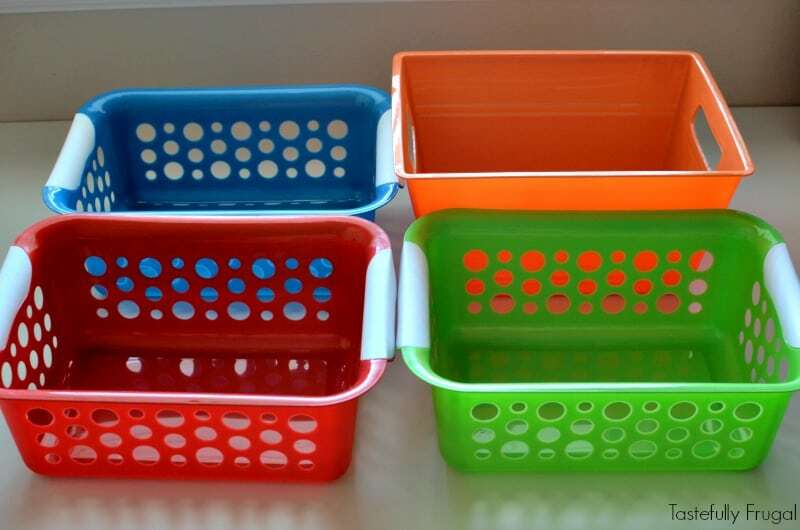 I made this food pyramid with four colors and then went to the store and picked up coordinating plastic bins.We used red for grains, green for fruit and vegetables, blue for protein and dairy and orange for sweets. We put the food pyramid on the inside of the pantry door, right next to the bins, so they could see what snacks they eating fit into the food pyramid. When we set up the station we talked to them about eating a good variety of food and we set guidelines of two snacks at a time, from two different colors/categories. So far, in the three weeks we’ve been doing this they’ve done just that every time. When it comes time to stock our snack station I head to my favorite store, Smith’s, and pick up everything I need. I love Smith’s because the store is so easy to navigate, they offer fresh fruit for the kids while we’re shopping and their seasonal low prices are awesome. The last time we were there I saw these multipacks of snacks at the end of the cereal aisle. Of course my boys wanted them because they were cookies and I was OK with it because I knew the small portions were the perfect size for an after school treat. 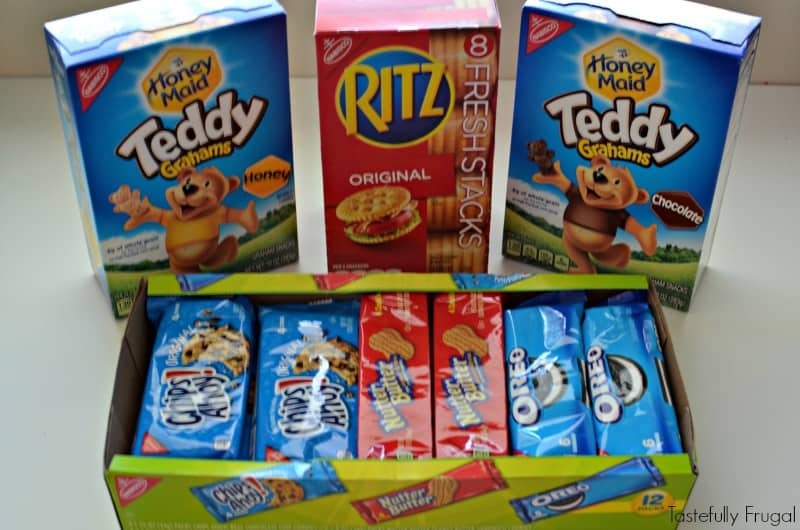 I also picked up a few boxes of Teddy Grahams and my favorite, Ritz Crackers Fresh Stacks and added them to our snack collection. For our red basket (grains) I like to have Ritz Crackers, Teddy Grahams and granola bars. 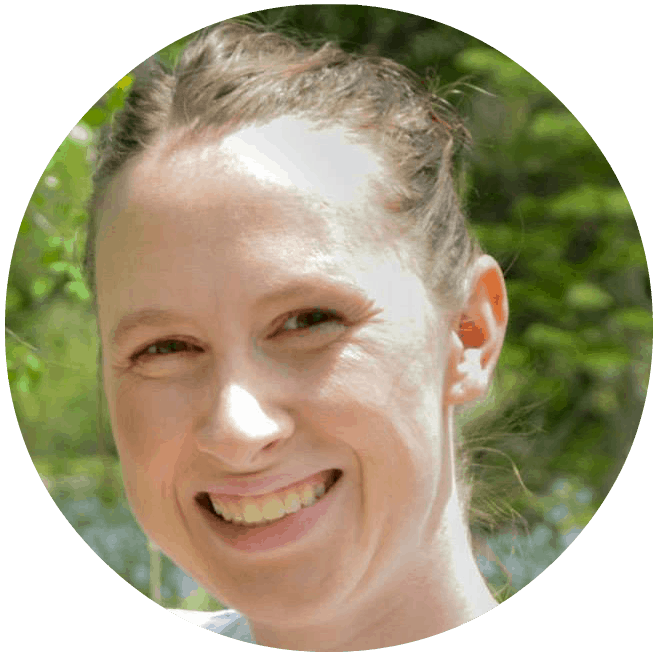 For the green basket (fruit and vegetables) they like fruit packets, fruit cups, mini carrots, small baggies of whatever fruit is in season (or on sale) and celery. For the blue basket (protein and dairy) I love the Nutter Butters, raisins, nuts, yogurt packets and string cheese. And our orange basket (sweets) is filled with Oreos, Chips Ahoy and on occasion chips. What are your go-to snacks for the kids after school? 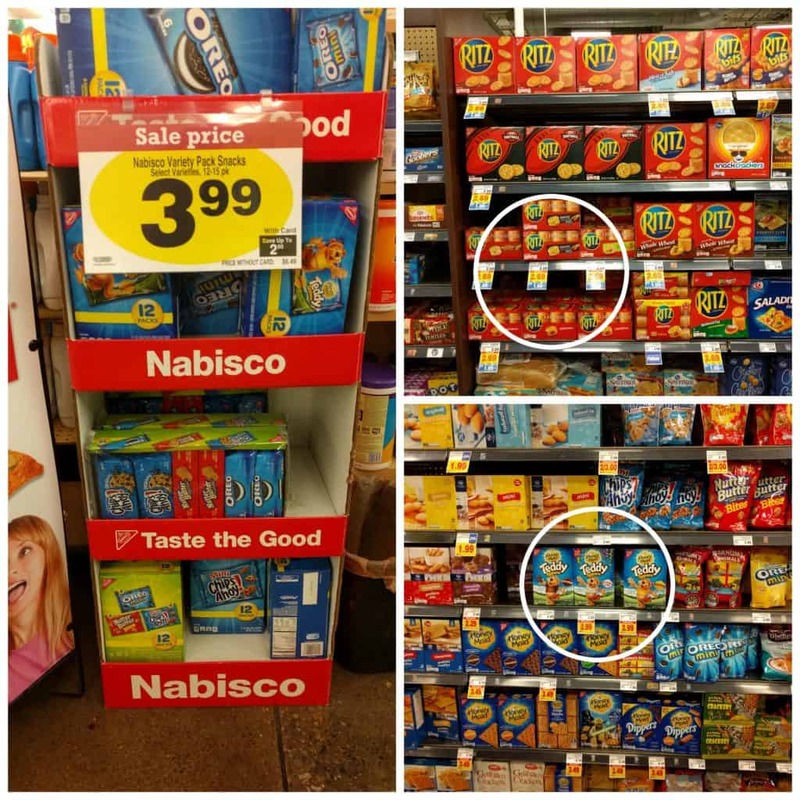 Remember to head to Smith’s, or any Kroger store, to pick up all your snacking needs and get some great ideas to make the back to school transition a little easier this year (they even have samples on Saturdays)!